Dr Ehrlich is Professor of Microbiology and Immunology, and Otolaryngology-Head and Neck Surgery at Drexel University College of Medicine (DUCOM) in Philadelphia, PA, USA. He also directs both the Center for Genomic Sciences (CGS) and the Center for Advanced Microbial Processing (CAMP) within the Institute for Molecular Medicine and Infectious Disease, and the Core Genomics Facility within the Clinical and Translational Research Institute. CGS scientists utilize a broad array of comparative genomic techniques and bioinformatic tools, many developed in-house, to identify and characterize both virulence genes within pathogens, and susceptibility genes to pathogens within their hosts. Dr Ehrlich is also one of the founders of the field of Clinical Molecular Diagnostics (MDx), having been involved in the original application of PCR for the detection of human retroviruses in 19851. He founded the MDx Division at UPMC and used these experiences to author the first text book/lab manual for infectious disease (ID) MDx2. Together with a team of like-minded pioneers he was one of the founders of the Association for Molecular Pathology and served as the first co-chair of the ID section. Dr Ehrlich counts among his major contributions to science the mapping and cloning of several major human disease genes3,4, and the re-writing of much of our understanding of chronic bacterial pathogenesis5,6. This began with his promulgation of the biofilm paradigm to explain many facets of chronic mucosal microbial infections7-9. Working with Chris Post, he started his explorations into chronic middle-ear disease in children in the early 90’s which he has since repeatedly generalized such that it is now widely accepted that the vast majority of all chronic microbial infections are biofilm-associated10,11. He also advanced the Distributed Genome Hypothesis (DGH12,13) to explain the enormous clinical variability among strains of a bacterial species, which together with the biofilm paradigm form the bases for his rubric of Bacterial Plurality3,4. His work in human genetics combined with the laboratory resources necessary to test the DGH have resulted in his having played a role in the development of several waves of genomic technology over the last quarter century including microsatellite mapping, microarrays, and next-generation sequencing. More recently he has developed the concept of bacterial population-level virulence factors and has used statistical genetics for the first time within the field of bacterial genomics to identify distributed genes that are associated with virulence. This computational methodology provides a non-biased, top-down approach to prioritize the annotation of hypothetical genes14. Coincident with the recent relocation of his research enterprise to DUCOM he founded CAMP which functions as a collaborative multi-discipline facility for exploitation of a suite of technological advances, many developed within the CGS, which permit the identification, cloning, heterologous expression, and biochemical verification of commercially important biosynthetic and biodegradative pathways from what he refers to as the “Genomic Dark Matter”. This approach came out his successful collaborative studies with Dr. David Sherman at the University of Michigan wherein they used multiple omics technologies (and developed the term meta-omics) to isolate and characterize all of the genes for a novel biosynthetic pathway for an important anti-cancer drug from an unculturable endosymbiotic bacterium of a tunicate. 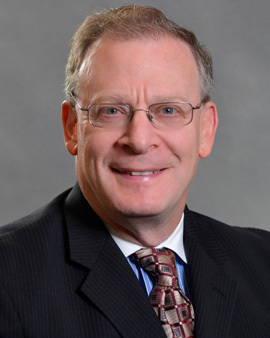 Dr. Ehrlich’s lifelong interest in emergent MDx2 and “omic” technologies led to his recent appointment as Director of the Meta-Omics Core Facility at the Sidney Kimmel Cancer Center, a consortium NCI-designated Cancer Center involving Thomas Jefferson University and Drexel University. Dr Ehrlich’s latest paradigm-changing hypothesis is that Alzheimer’s disease results from a combination of chronic bacterial infections of the brain (primarily originating from the periodontium) and the brain’s anti-microbial and inflammatory responses to these infections. Dr. Ehrlich was elected as fellow of the American Association for the Advancement of Science in 2014. Ehrlich, G.D., and Greenberg, S.J. : PCR-Based Diagnostics In Infectious Disease. Boston: Blackwell Scientific Publications, 1994, 697 pages. Ehrlich, G.D.^, Ahmed, A., Earl, J., Hiller, N..L, Costerton, J.W., Stoodley, P., Post, J.C., DeMeo, P., and Hu, .FZ. The Distributed Genome Hypothesis as a Rubric for Understanding Evolution in situ During Chronic Infectious Processes. FEMS Immunology and Medical Microbiology. 2010 Aug;59(3):269-79. Ehrlich, G.D., Hu, F.Z., Shen, K., Stoodley, P., Post, J.C., Bacterial Plurality as a General Mechanism Driving Persistence in Chronic Infections. Clinical Orthopaedics and Related Research 437:20-24, 2005. Rayner, M.G., Zhang, Y., Gorry, M.C., Chen, Y., Post, J.C., and Ehrlich, G.D. Evidence of bacterial metabolic activity in culture-negative otitis media with effusion. JAMA 279:296-299, 1998. Ehrlich, G.D., Veeh, R., Wang, X., Costerton, J.W., Hayes, J.D., Hu, F.Z., Daigle, B.J., Ehrlich, M.D., Post, J.C. Mucosal Biofilm Formation on Middle-ear Mucosa in the Chinchilla Model of Otitis Media. JAMA 287:1710-1715, 2002. Hall-Stoodley, L., Hu, F.Z., Stoodley, P., Nistico, L., Link, T.R., Burrows, A., Post, J.C. Ehrlich, G.D., and Kerschner, K.E. Direct Detection of Bacterial Biofilms on the Middle-Ear Mucosa of Children With Chronic Otitis Media. JAMA 296:202-211, 2006. Rath, C.M., Janto, B., Earl, J., Ahmed, A., Hu, F.Z., Hiller, N.L., Dahlgren, M., Kreft, M., Yu, F., Wolff, J.J., Kweon, H.K., Christiansen, M.A., Håkansson, K., Williams, R.M., Ehrlich, G.D., Sherman, D.H. Meta-omic characterization of the marine invertebrate microbial consortium that produces the chemotherapeutic natural product ET-743. ACS Chemical Biology 6(11):1244-56, 2011. Lyme disease, strictly speaking, is defined as infection by the tick-borne spirochete, Borrelia burgdorferi. B. burgdorferi itself reveals extensive genomic plasticity which manifests itself clinically as highly variable disease symptoms in infected individuals. These include great variations in the severity of the disease, the chronicity of the disease, and the tissue tropism. However, this complexity is combinatorically amplified as there are both several other tick-transmitted Borrelial species that cause similar symptoms; and in a high proportion of cases the transmitting tick bite will also result in infection with one or more other pathogens which can be viral, bacterial (including Rickettsia and other obligate intracellular bacterial pathogens), or even eukaryotic parasites. Thus, both the epidemiological characterization of region-specific endemic tick populations and the diagnosis of tick-borne infections requires multiple pan-domain technologies to determine the spectrum of co-infections, as well as strain specific diagnostics once the species are determined. Only then will it be possible to provide adequate therapeutic and prognostic information for the management of affected persons. Toward these ends we have been developing pan-domain, species-specific rRNA gene-based diagnostics for both bacterial and eukaryotic pathogens using the third generation, long-read DNA sequencing system produced by Pacific Biosciences (PacBio). This platform provides for circular consensus sequencing of entire genes (16S for bacteria and 18S + ITS for eukaryotes). Therefore, it is possible for the first time to perform error correction on single molecule sequencing which provides highly accurate species-specific analysis. Co-incident with the development of the laboratory methods we also developed and validated a multi-step data processing algorithm which eliminates the over-calling of the number of taxa present, and constructed new databases to support the long-read technology. Data will be presented showing the fidelity of these systems using blinded complex microbiota challenge sets. This will be followed by investigations of patient specimens and tick microbiomes.